Q. How do I find theses and dissertations? Electronic dissertations and theses published by UA authors can be found in the Dissertations and Theses at University of Alabama database. You can also find electronic theses and dissertations submitted by UA authors since 2009 in “The University of Alabama Electronic Theses and Dissertations” Collection. You can browse the collection, or you can search from the main Digital Collections page (select the Research tab). To search for electronic dissertations and theses by any author (not just those from UA), you can use the Dissertations and Theses database to search by keyword, advisor, university and more. You can also use Scout to search for both print and electronic dissertations and theses. Search by title, author, or keyword, then use the options on the left side of the page to limit the results. 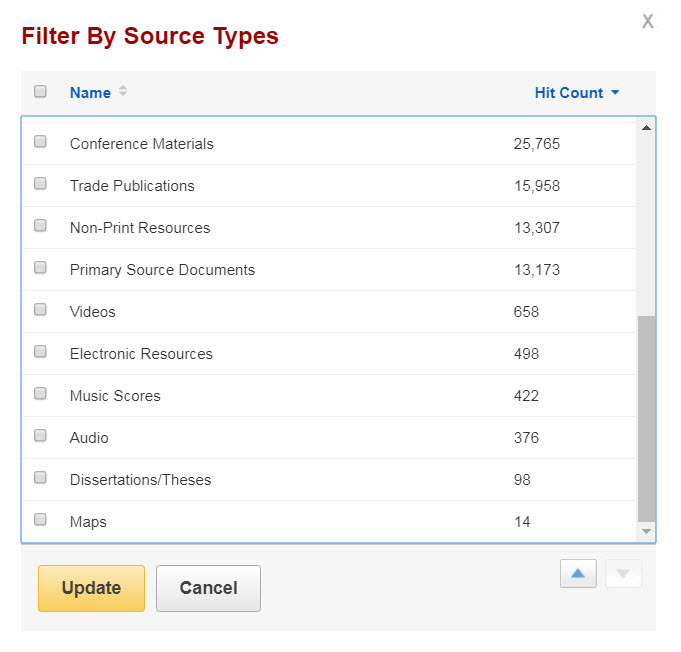 Under Source Types, there's an option to limit results to Dissertations/Theses; you might also try adding the word thesis or dissertation to your search. If we don't have the item you need, you can place a request to borrow a copy via Interlibrary Loan. It is often difficult to find a copy of a dissertation to borrow, but we will try! If you receive a microfilm, you can view it with one of the machines in the library. Recently published dissertations may not be available due to embargo. If you're having trouble finding a dissertation or thesis, please let us know. We are happy to help.